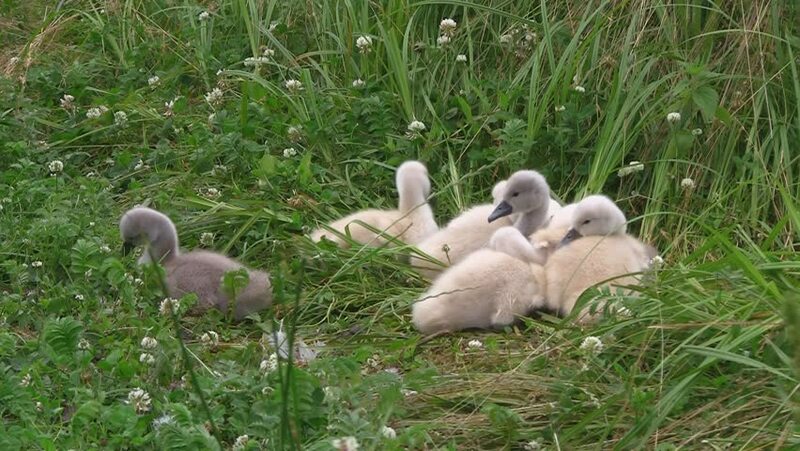 4k00:20A group of cygnets, or baby swans, is feeding together in grass. Mothers head enters frame on right. 4k00:15Many geese are walking on the grass. 4K, UHD, 50fps, Panning, Closeup. hd00:22A badelynge or flock of pristine white domestic ducks in the sunshine.